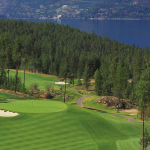 Welcome to Predator Ridge Resort, a beautiful premier resort-residential community located in the Okanagan region of British Columbia, offering one of the longest, driest golf seasons in Canada (April – October). The Okanagan region averages over 2,000 hours of sun every year and is home to vineyards, orchards, semi-desert terrain, rolling hills, and expansive sandy beached lakes and is one of the most picturesque parts of Canada. 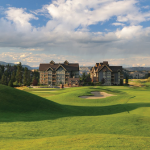 International access to Predator Ridge is easy with the Kelowna International Airport (YLW), just a 25 minute drive away.